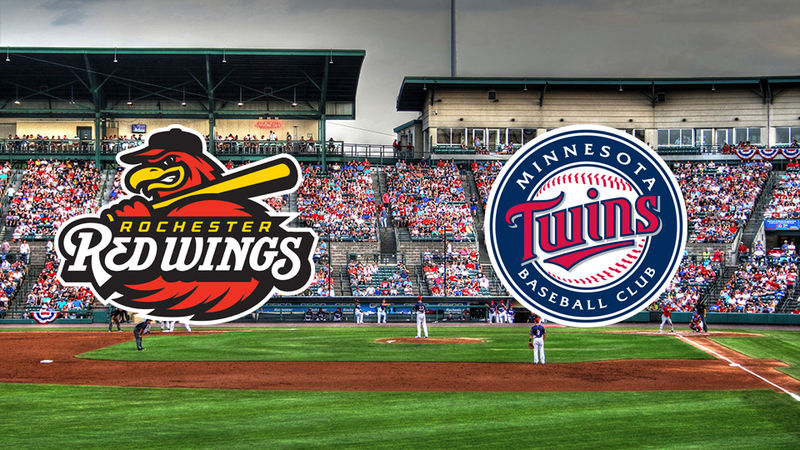 The Rochester Red Wings and Minnesota Twins have extended their player development contract for another two years through the 2020 season. "We have had an excellent relationship with the Twins since 2003, and are pleased to announce the continuation of the affiliation for two more years. The Twins have regularly fielded winning teams here and our fans have had the benefit of seeing so many of our players advance to the Major Leagues. Members of Twins top management visit Rochester regularly, which gives us confidence that their Minor League system is of the utmost importance to them. We consider ourselves lucky that the Minnesota Twins respect and appreciate the strength of our organization, and we are glad to continue this partnership. We do everything we can to provide a great atmosphere for the players, and the Twins recognize that and the enthusiasm of our fans." "The Minnesota Twins have been blessed to partner with the Rochester Red Wings since 2003. In the last fifteen-plus years, we have forged a tremendous relationship with the Red Wings, the city of Rochester, Dan Mason, Naomi Silver, the Silver family, and Gary Larder. We are proud to count Naomi, Dan, and Gary as members of the Minnesota Twins family and the city of Rochester as an extension of Twins Territory. We are excited about what we can accomplish together moving forward." "We are extremely excited to extend our partnership with Rochester. Naomi, Dan, Gary, and the entire Red Wings staff have been phenomenal to work with making life easy on the Twins. We greatly appreciate the support that the city of Rochester has provided for the Twins and Red Wings and work hard to put a competitive product on the field each year. We value the strength and stability of our relationship with the Red Wings and are looking forward to continuing that through the 2020 season." "We do not take our choice of an affiliate lightly. We, of course, consider how well their players perform on the playing field but we also consider the character of the players whom they send to our city. We also consider how well their front office personnel interfaces with our office personnel in their many daily activities. We feel comfortable in saying that the Minnesota Twins are the best option for continuing as our Major League partner for the remainder of this decade." The Red Wings were the only International League team to be above .500 from 2013-17. Rochester was at least 10 games over .500 each year while playing to a collective 392-326 record. Only Scranton/Wilkes-Barre had more wins in the league during that span. Across all full-season leagues in the minors, only one other franchise was at least 10 games over .500 each season from 2013-17 (Single-A Lancaster, California League). Since the partnership began in 2003, Rochester has been at least .500 in 11 of 15 seasons entering 2018. Minnesota's 25-man roster for last year's American League Wild Card Game at New York featured 22 former Wings and 13 played for Rochester during the 2017 season. Chris Colabello is the lone IL Most Valuable Player during the Twins-era, winning the award in 2013. Kevin Slowey was honored as the IL Most Valuable Pitcher in 2007, the lone recipient of the league award since 2003. A Red Wing has earned IL Rookie of the Year four times: Colabello in 2013, Randy Ruiz in 2008, Francisco Liriano in 2005 and Jason Kubel in 2004. Justin Morneau and Joe Mauer are former Wings to earn an MVP award in the Majors during affiliation with Minnesota, though Mauer's only appearances with Rochester have come on rehab assignments. Morneau won American League MVP in 2006 while Mauer earned the award in 2009. Former Red Wing R.A. Dickey is the lone Cy Young recipient since 2003, taking home National League honors in 2012 with the New York Mets. Rochester has two playoff appearances during the Twins-era, most recently in 2013 when the team secured the Wild Card on the final day of the season. The Red Wings made the Governors' Cup Finals in 2006 against Toledo but fell in a winner-take-all game five. The Wings became the first team in league history to win 80 games in back-to-back years and not make the postseason when the team did so in 2016-17. Rochester missed the playoffs last season on a tiebreaker. Minnesota's Triple-A team has been in five different cities, including Rochester, since 1978. The top Twins farm club was previously in Toledo (1978-86), Portland (1987-93), Salt Lake (1994-2000) and Edmonton (2001-02) before affiliating with the Red Wings in 2003. The Player Development Contract creates an affiliation between a Major League organization and the ownership of a Minor League franchise. The franchise ownership is responsible for assembling a front office and staff to manage all business aspects, including gameday activities such as ticket sales, promotions, broadcasting, etc. The MLB organization makes all decisions related to player development, including selecting the coaching staff and deciding which players to assign to the team.